I had planned to have two lovely guests and fellow Dreamspinner Press authors, but the day belongs to Grace R. Duncan and she gets right to the point! I am bisexual. As I am sure you’ve seen by others on the blog this week, this is not something many of us talk about. There’s a reason for this, in my opinion. 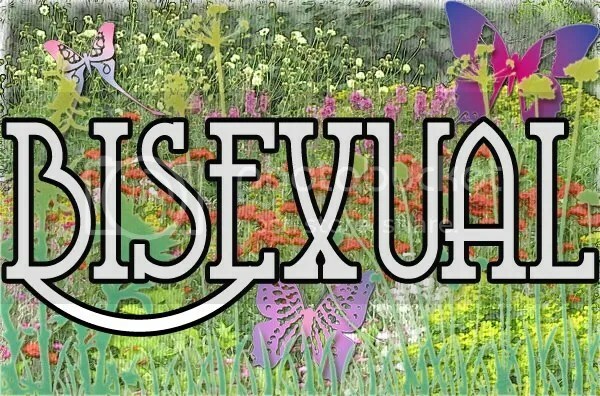 Like most parts of the GLBT rainbow, bisexuality is mired in misunderstanding and hate, for various reasons. One of the biggest misunderstandings is that bisexuality—like its name—is a weird duality. There are a lot of assumptions made about us: that we are promiscuous, that we’re either in the closet or experimenting, that we automatically want to have a three-way with you and your boy/girlfriend, that we have it easy out in the world. This last brings us to the duality I mentioned. When I was in high school, I had the worst crush on my best friend. She was… well, back then I thought she was the most beautiful thing in the school. We’ll call her “B.” B was… oblivious. And though after high school, she wanted to experiment, that’s all it ever was for her. But I also had crushes on guys. And because I did, I didn’t understand what was happening to me. I knew I wasn’t gay, though that was, back then, still talked about only behind a hand, even among the crowd I was part of. We were what the current crop calls “goths”. Non-conformists. However you want to label it. But even among our very open-minded friends, it wasn’t something discussed. So, I suppressed it. I focused on the guys, tried to ignore my attraction to my friend and kept my head down. And this is, in a small way, a privilege that bisexuals have that our gay brethren don’t. We can still appear more “normal” than our gay friends can. We can at least look like we fit in with everyone else. It’s still a closet, but, in my opinion, even worse for the fact that it’s got doors on both sides. And both doors must stay closed. Because even now, there are still the misunderstandings I discussed above. My men in my novels, many of them, are bisexual. Yes, I have men who are almost completely gay and I have straight people (plenty of them) in my novels, as well. Because no single group exists in a vacuum. As faulty as the Kinsey test is, the scale itself is representative of, what I believe, is a big truth that many people don’t want to admit: more of us are bisexual than we’d like to admit. The scale is a range. You don’t go from 1 (Heterosexual) to 3 (Bisexual) to 6 (Gay) with nothing in between. And I believe that everyone falls somewhere between 1 and 6. I know, right now people are ready to hit the “back” button because I’m crazy. Just my opinion. Patrick shook his head. “No. I’m bi. Bisexual,” he added at Rhys’s confused look. “Like, I like both men and women,” Patrick explained. “Then maybe you’ve just been in the closet,” Rhys said. The novel I have out currently—Choices—has more than one bisexual man in it. Jasim, the best friend of the MC, has a very close relationship with one of the pleasure slaves and yet later ends up with a woman. Teman, the main character, had been with women before he comes to the palace. And though the other MC in Choices is pretty much gay all around, there are plenty who are not. Because, as I said before, I believe in real life, that’s how people are. I fully expect to keep this up and hope that, with just a little more understanding, the closet doors on both sides can be opened permanently. Born and raised a gypsy in the late eleventh century, Teman values freedom over everything. He and his best friend, Jasim, are thieves for hire—until one night they’re caught and their precious freedom is revoked. Given the choice between the dungeons or palace pleasure slavery, they become slaves, but Teman vows to escape someday. The peace doesn’t last. Mukesh plans to invade Jasim’s new country, and Bathasar must find a way to stop the destruction. But if he succeeds, he’ll ascend to the throne and have the power to grant Teman his liberty. Then Teman will surely leave him. What other choice could a gypsy make? Grace R. Duncan grew up with a wild imagination. She told stories from an early age—many of which got her into trouble. Eventually, she learned to channel that imagination into less troublesome areas, including fanfiction, which is what has led her to writing male/male erotica. A gypsy in her own right, Grace has lived all over the United States. She has currently set up camp in East Texas with her husband and children—both the human and furry kind. As one of those rare creatures who loves research, Grace can get lost for hours on the internet, reading up on any number of strange and different topics. She can also be found writing fanfiction, reading fantasy, crime, suspense, romance, and other erotica, or even dabbling in art. This entry was posted in Uncategorized and tagged Bi Pride, bisexuality, Grace R. Duncan, Guest Author by Charley Descoteaux. Bookmark the permalink.